High clearance for better motherboard compatibility. Massive cooling range; cools not only CPU but also MOSFET and RAM. Cooler surrounding temperature allowing more stable environment for higher overclock. Takes both 12 and 14cm fans for a maximum installation of 3 fans. 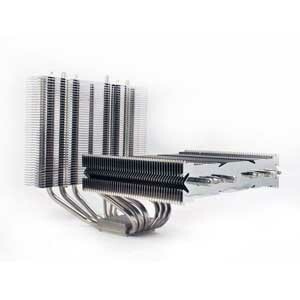 Six high quality heatpipes for effective heat transfer. Light weight at 800 g (without fans) in the highend class. Intel and AMD platform supported. All mounting hardwares are included.